Why YOU need to say the word “NO”. I have a hard time saying ’no.’ In fact I had to say no to a business opportunity the other day, and even though I know I made the right decision, doubt stills enter my mind and I question everything. Deep down, I know it stems from me wanting to be the guy everyone likes. I nod my head because that’s the only way to make people like me… right? I’ve become this Christian ‘Yes man’ because that’s what I Jesus has called me to be… right? In my business, I had made it a policy to say ‘yes’ almost every time. I thought this would provide excellent customer support and reap blessings from up above. Fears of losing a client. Fears of a bad reputation. Fears of ending a relationship. When we say yes to every request, eventually other peoples’ priorities take precedent over our own. ‘Yes’ means less time for your projects, your family, your Sabbath, and your everything else. ‘Yes’ can end up leaving you frustrated and stressed. All the while missing out on what God truly has called you to. When I sat down to write this article on the art of saying no I thought I would have a difficult time finding instances in scripture. To my surprise, it was the exact opposite. JESUS SAID NO ALL THE TIME. 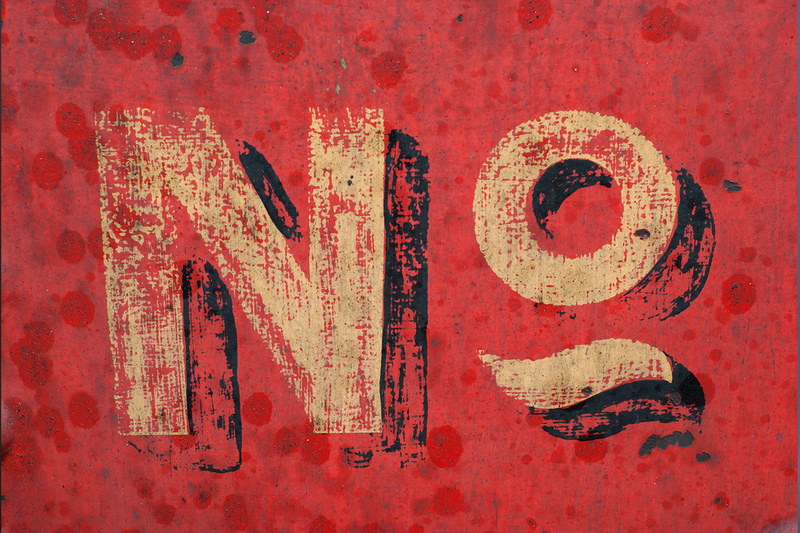 What Does Scripture Say About Saying No? Jesus said NO to “important” people. If Jesus said no to all these people, why do you think you have the right to say yes all the time? When we say no firmly, we are able to say yes faithfully. Here are two ways that I have found to be the best way to say NO. By declining and saying no you’re looking out for your client. Your primary goal as an entrepreneur should always to be viewed as a resource and solution. By saying that you can’t accommodate to their needs doesn’t mean you’ve failed your client, it means you’re looking out for them. When saying no, always give referrals, be the best solution they can ask for, and in the future, they will reach back to you because you helped them reach the next step. For me, the phone and face to face meetings are always harder to say no. By stalling and saying, “Let me shoot you an email in a few,” you get a moment to compose yourself and not feel the pressure to say yes immediately. Remember, when saying no, always be honest, sympathetic, and above all, be the resource your clients are seeking. May you trust that God is in control. That He is good and when he says ‘no’ there is a reason behind it. May your yes be yes, and your no be no. May you have the kind of faith that will wait. What’s the hardest thing you’ve ever had to say no to?